The view along our streets is about to change thanks to the mobile phone and OSM mappers are presented with a vast new challenge. BT are scrapping half of the 40,000 phoneboxes on our streets over the next five years, citing a drastic drop in useage. One third of phoneboxes never have anyone make a call from them, and BT measure call volume from all kiosks at a mere 33,000 a day. Phonebox numbers reached their peak in 1992, when there were 92,000 of them. 7,000 of the phoneboxes are the world-famous red phone boxes designed in the 1930s by architect Sir Giles Gilbert Scott, who also designed Liverpool Anglican Cathedral, Battersea Power Station, and Bankside Power Station (now the Tate Modern). 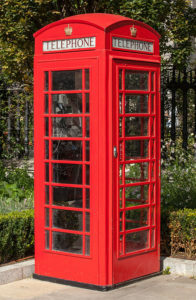 Many of the red phoneboxes which have already been decommissioned have been re-purposed as mini-libraries and art galleries or to house defibrillation machines, information centres, shops or exhibitions. About 2,400 are preserved by Historic England as Grade II listed buildings. 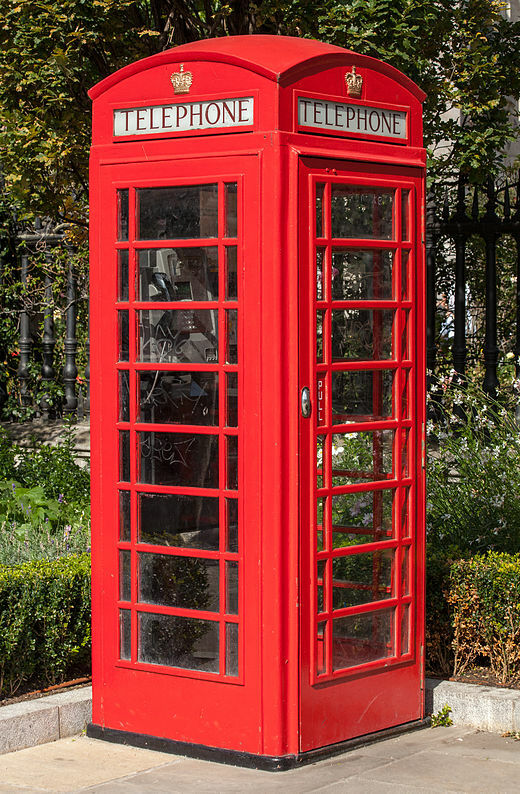 The rules of the government regulator Ofcom govern how BT may remove phoneboxes, and addionally there may be planning regulations from local authorities to satisfy. If there are two kiosks within 400m walking distance of a site, BT is allowed to remove one, as long as there is one left. But if BT seeks to remove the only phone booth on a site, it must inform the public and consult with the local authority which has 90 days to object, which is known as a local veto. To add to the scale of the challenge 1,000 phoneboxes will be replaced in major UK cities by new structures called Inlinks from InLinkUK. Each InLink provides ultrafast, free public Wi-Fi, phone calls, device charging and a tablet for access to city services, maps and directions. The services are free because they’re financed by large digital screen advertising on the structures. As well as the challenge of locating and mapping these structures is the tagging challenge. Which or all of these? Quite frankly this is a ludicrous position worthy of the fifteenth century when maps were regarded as military secrets. Firstly, it’s discriminatory. Do they know they’ve already published an online map of Inlinks? Do they know that for several decades Ordnance Survey have published paper maps showing the location of phoneboxes in mountainous areas for emergency purposes? Do they know that many local authorities publish online map service using Ordnance Survey data that locates every phonebox with the acronym TCB (for Telephone Coin Box)? Quite where this stands under competition laws is an interesting point, but way beyond our pockets to explore. Secondly, it’s hardly a great method for letting potential customers know where to access the services. Thirdly, what’s the profile of your average vandal? Someone who is a node on the globalised corporate network and uses online resources and data tools to ensure they optimise available resources for their campaign of vandalism? Why waste time wandering about looking for targets and forfeiting valuable vandalising time? Why waste valuable time going out to vandalise something that’s already been done by a rival crew? Or is it some antisocial human node with who-knows-what chemicals coursing through their brain, opportunistically trashing their local community because they’ve got neither the desire or means to travel. I suggest BT planners look beyond the sphere of their corporate bubble with its group-think managementspeak and bring some appreciation of the real world (aka commonsense) to bear. BT are now promoted to mappa-mercia’s Hall of Shame, along with West Midlands Fire Service and Severn Trent Water for refusing to provide data on the spurious grounds of protecting publicly visible infrastructure against attack. The Ofcom document you link to above states there were 67,000 phone boxes in 2006 so a significant number of boxes on OSM may have been removed already.